As we head into the new year there's no doubt many of us are making new year resolutions and goals for 2017. 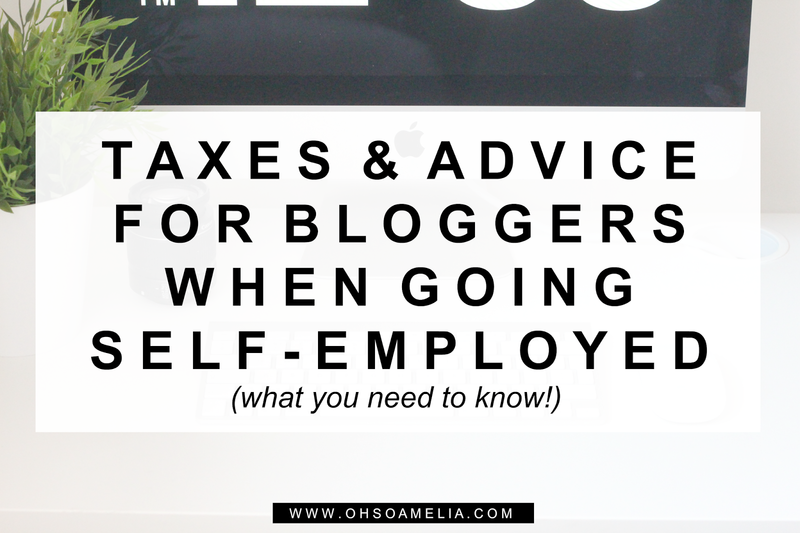 Whilst some of those may be to save money or get fit I'm sure many of you are wanting to bite the bullet and go self-employed, whether you're new to blogging or have been a hobby blogger for a few years. Going self-employed can be rather daunting, where do you start? 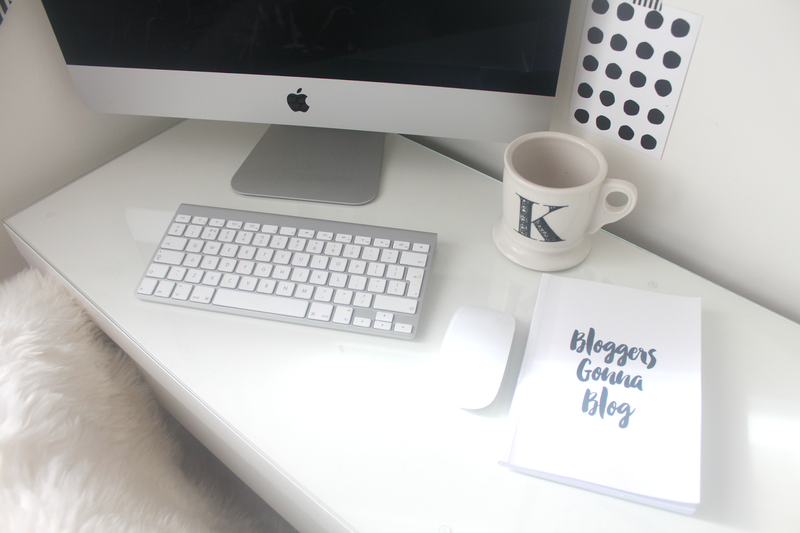 I often receive emails from bloggers asking for advice on going self employed so I thought I would share some of the most commonly asked questions. 1. When do I need to go self-employed? If you are thinking about starting to earn money from you blog whether it be a on the side or as a full time income you will need to register yourself as self-employed incase you do start to earn money. No matter how much you're earning, whether it be a £50 here or there or £1000 a month you need to register and declare every single penny. There are two ways to do this, you can either register as a sole-trader or as a limited company which you will then be able to set up a PAYE (Pay As You Earn) system to pay yourself with the income from your blog. Register yourself as self-employed here. 2. What is classified as blogging earnings? As I mentioned above anything you earn through you blog must be declared. So basically any payment you receive or monetary gain for example from sponsored posts, advertising, social media promotion, affiliate earnings etc. You also need to declare any money you make from selling review items for example, if you received a pushchair in return of a review and decide to sell it a year later then you must declare the amount you sold it for. If you're unsure about anything you can always hire a tax accountant who can be of great assistance when it comes to doing your accounts. 3. Do I need to register by a certain time? If you are thinking of making money from your blog or have recently started to, even if it is only pennies then I would suggest registering right away as you should really register within 3 months of when you start earning money. You will also need to make sure you send off your Self Assessment and pay any tax that you owe in time otherwise you may get in trouble with the tax man! 4. 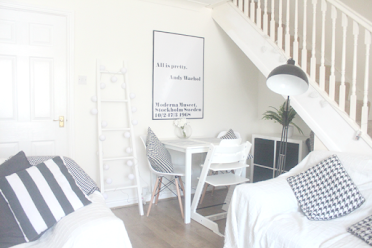 Do I need to pay taxes/NI as a blogger? The Personal tax allowance is currently £11,000 (2016-2017) which means you can earn up to but not over £11,000 in the tax year without having to pay tax on it. If you earn over £11,000 in the tax year then you will be taxed 20% of your earnings. If you earn less than that then you're fine, although don't forget if blogging isn't your full time job and you have another job then you will need to combine your earnings. You will also need to pay National Insurance Contributions which will vary depending on how much you earn. If you are over the threshold then you will need to set this up yourself. You can do this via direct debit or by paying the amount shown in full on the invoice sent via HMRC. If you earn less than £5965 per year then you may be able to get a Small Earnings Exception which means you wont have to pay any National Insurance at all. If you earn over £5965 then you will need to pay Class 2 National Insurance Contributions but less than £8060 a year then you will need to pay £2.80 per week which can be paid in instalments or in one fee (£145.60). You’ll get a penalty if you need to send a tax return and you miss the deadline for submitting it or paying your bill. You’ll also get a penalty of £100 if your tax return is up to 3 months late. You’ll have to pay more if it’s later, or if you pay your tax bill late. I'd advise having a separate bank account to transfer money to each month to put aside so you don't get caught out with a surprise and miss any deadlines. You can read more about tax thresholds here. 5. How do I register for Self Assessment? Once you register yourself as self-employed you'll already be registered for Self Assessment as well as National Insurance Contributions. You will received two letters within 10 working days which will include your UTR (Unique Taxpayer Reference) which will confirm that you now have a Self Assessment record set up. The other letter will include an activation code to allow you to log in online which you'll need to use within 28 days otherwise it becomes in valid and you'll have the start the whole process again. Make sure you keep hold of your UTR as you'll need it for a later date. 6. What records do I need to keep? You need to keep a record of everything business related that comes in and out. 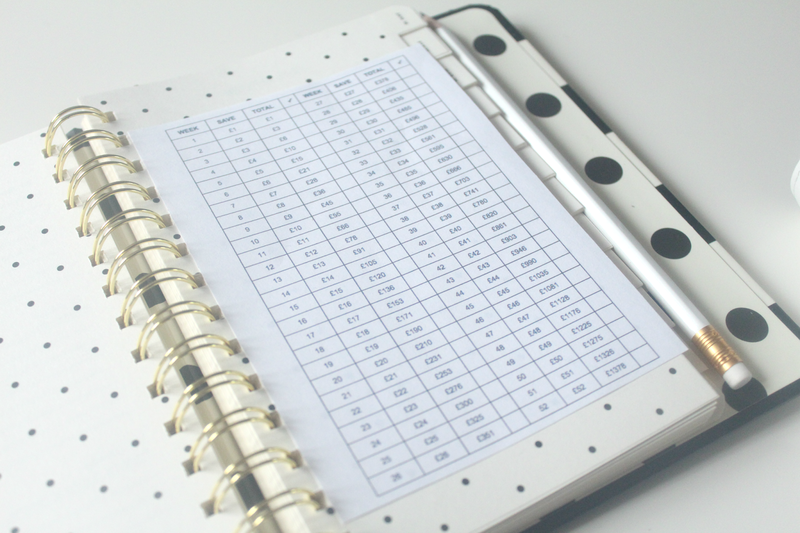 A simple excel spreadsheet can be used to keep track of all your income and expenses. I like to update mine reguarly and I also check back over them at the end of each month (when I remember) as it saves me having to do it at the end of each tax year. Make sure you keep all invoices and receipts that are business related as you may need these as proof if the HMRC get in touch after you do your annual tax return. If you do the majority of your invoicing via PayPal this should be pretty easy as you can download and print PDFs quickly if needed. 7. What can I claim as expenses? You can claim anything that aids your blog that you are having to pay for. This could be anything from a new camera, laptop, printer, stationary, domain costs, broadband, utility costs, travel expenses, business lunch meetings. Although there is a lot of talk of what is and what isn't an expense especially in the blogging world. If you're unsure whether you can claim something as an expense then you're best getting in touch with the HMRC for clarification. I hope you have found this post useful. I'm by no means an expert in this but have been self employed for nearly four years now so thought I'd share some of my knowledge. If you're after any more advice then definitely contact the HMRC or check out their website which is very useful. If you have any questions leave them below and I'll try my best to answer them. A great resource for bloggers who are starting to take on sponsored work, affiliate marketing etc. Really informative post Kerry, I'll direct people who ask me these questions to your post as it's all here! This is really helpful. Thank you for posting about this! Well that's interesting to read. Thanks for that Kerry. I haven't registered of any sort. I spoke to people about it and they told me don't bother until you make a certain amount, that's when you only need to declare it. Maybe it's different in Ireland. Self employed with blogging is one of the trend in this new gen world. We can earn more profit through blogging if you have the talent. Poor writing skill is the main problem of all. Don't need to worry about poor writing skill, thesis writing service reviews have expert writers to help you. A very useful information to be shared by you.We are happy to read this blog.This blog is very helpful for us.Thanks for sharing this information.